Manhattan, Kansas is as college town as college town gets. If you’re looking for apartments in Manhattan, KS, it’s because you’re attending Kansas State. But that doesn’t mean it’s easy to find a place. It’s never been fun and it’s never been easy. Finding a place near Kansas State typically has involved you walking street to street, writing down phone numbers and hoping for callbacks. Is that really how you want to spend the best years of your life? Searching for houses and apartments near KSU? We didn’t think so. That’s why Rent College Pads has built a database of landlords in Manhattan to help college students at Kansas State find the best off-campus housing options. Find the perfect apartment or home for rent in Manhattan within walking distance to Kansas State that won't break the bank. Filter options down to your specific most important requirements. Search by the bedroom, bathroom or whatever amenity matters most to you. A lot of students stay in the dorms, but most upperclassmen Wildcats live in houses in The Little Apple or apartments in Aggieville. So you’ll need to act fast if you want to get a great place. Check out our Kansas State guide to learn more about renting around campus. At a lot of campuses, students can barely move in before they have to start finding their next rental. But Kansas State has a bit more of a leisurely pace when it comes to the housing search. You’ll move in come August and you’ll need to start searching after winter break. January and February are crazy months for students searching for houses for rent in Manhattan. Houses in Aggieville go especially quick. If you’re looking to compare one-bedroom or studio apartments in Manhattan, you can wait a little bit longer. Many apartments can still be pre-leased well into the second semester around or after Spring Break. It's not at all uncommon for students to find a KSU apartment later in the second semester, even in the weeks before school gets out. Searching for an apartment in Manhattan can be difficult and a little pricey, but if you're willing to live with roommates, your expenses will drop considerably. There are tons of houses around the Kansas State campus in Aggieville and elsewhere that four friends can rent for less than $1300 per month. You will pay a premium to have your own space by choosing a single bedroom but the average price is much lower than other college cities. We noticed that there really isn't a huge saving advantage or many benefits when going from a three to four bedroom place. Well, there is one more person to take out the trash. Rent by the bed typically ranges between $300 (best case scenario) and $700 per month. Manhattan is full of great places to shop. Manhattan Town Center is a local mall and has over 50 stores to choose from. If you are looking for something more low key, Aggieville is an excellent choice with over 100 businesses, you are bound to find something for everyone. We've put together a list of the best restaurants near the K-State campus to save you time and help narrow down all the possibilities. The city has 28 parks with amazing features that can be enjoyed all year long. Manhattan is a beautiful place with bike trails, hiking, horses, climbing, a large reservoir near campus, and the Manhattan Parks and Recreation include seasonal options with K-State sports as well!. Aggieville is the name of six square blocks around Manhattan Avenue and Moro Street. It consists of college bars, restaurants and shops. It's a great place with a college community feel and lots of opportunities to meet new people. Kansas State University or K-State as its most notably known as, was founded in 1863 as the country’s first land grant institution under the Morrill Act during the Civil War. Kansas was admitted into The United States in 1961 and avidly wanted to develop a public institution. With the donation of the Bluemont Central College, Kansas State College of Agriculture and Applied Science opened it doors to 52 students of which 26 were men and 26 were female. 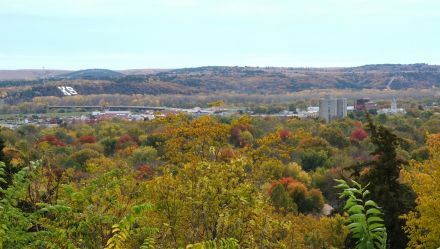 The campus location was moved in Manhattan to its current spot on 668 Acres in northern Manhattan, KS. The campus is home to many historic buildings including Holtz Hall which built in 1876 is the campuses oldest free-standing building. The campus buildings are very distinct for their native limestone breaks which have a subtle grey color. Today the campus offers 25,000 students from 50 states and 100 countries a choice of 250 majors across nine colleges. Students can involve themselves in over 450 campus organizations or attend many of the universities Division 1 Big 12 games. Kansas State University offers a growing 107 graduate programs for post-baccalaureate studies. The University is often known by its leading Biosecurity Research Institute and the hosting of the Landon Lecture Series. Heading just southeast of the Kansas State University campus puts you in Downtown Manhattan, which runs also the Kansas River. Between Aggieville and the business district of Downtown is several residential streets with houses and apartments throughout the area. Downtown to the university is under two miles, which is not the most ideal for walking to classes but it is only a five-minute drive to campus. If you don’t have a car, the ATA bus can transport you around town and in certain areas so can the K-State shuttle. In recent years, Downtown has gone under some redevelopment, especially around the Manhattan Town Center. The Manhattan Town Center is mall is in the heart of Downtown that offers residents, even more, shopping and dining options. A few blocks south of the Town Center is the Flint Hills Discovery Center, which has interactive exhibits and theaters that teach people local history and the preservation process of the Flint Hills. The building is also used as a venue for a variety of special events and youth outreach programs. On the outskirts of Downtown is the Sunset Zoo that is home to over 300 different species of animals and students receive discounted tickets! The Manhattan City Park is a great place to spend the day whether it be hiking the trails, swimming in the pool, or skating on the ice rink this is the perfect place to destress from classes and explore the great outdoors. The park is in the middle of the city too and just minutes from Kansas State. 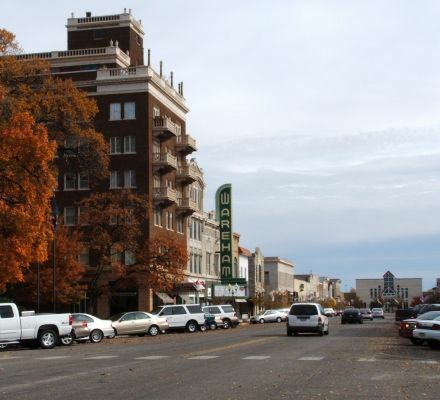 The Kansas State University is located centrally in Manhattan, so the area that surrounds the school is known to locals as the “college area.” This area can be more defined as being between College Avenue and Tuttle Creek Boulevard. Both north and south of campus are the preferred living areas for students and this is where you’ll find a lot of the frat houses. To the south of campus and west of City Park, there are a lot of older homes and the majority of those homes are rented by students. There are over 4,000 residential units that surround Kansas State ranging from single-family homes, duplexes, small apartment buildings, and large luxury apartment complexes so whatever your taste or budget may be you can find it here all in walking distance to campus. If you head east or west you’ll start to run into more residential areas and most students don’t live past Fort Riley Boulevard. The State Streets is a residential neighborhood that is directly west of Kansas State University but is still considered to be part of Central Manhattan. It is a highly desired area to live in, especially for families, and houses range from ranch-style homes to multi-level and two-story houses. A lot of the older houses have been updated and are usually very large with basements. Strolling down the streets you’ll see big yards and a lot of trees. It’s very common to see a lot of people walking around and children riding bikes. The State Streets is close to the Westloop Shopping Center and Cico Park. Just blocks away from Kansas State is student hot spot Aggieville. Aggieville is the oldest shopping district in Kansas and over the years has grown to have over 100 different businesses. With a variety of shops, restaurants, and Manhattan’s best nightlife spots, this district is a “go-to” for anyone living or visiting Manhattan. This is the place to be for a night out and some of the popular spots are Mojo’s Beach Bar where you can join the Yacht Club and drink certain liquors and beer for $40 for the entire year! Eighteen63 has the flaming LAX Bomb that always draws a crowd.Tuby’s and Kite’s are also popular spots due to their cheap drink specials. After a night out, stop over at Varsity Donuts for a grilled cheese or mac n’ cheese. Each year in Aggieville, they host events like the Christmas Parade, St. Patrick’s Day Parade, Little Apple New Year’s Even Celebration & Ball Drop, and the K-State Homecoming Parade and Pep Rally. Just north of the campus, each year, the Country Stampede is held, and this is Kansas’s biggest festival which brings top country artists to perform. 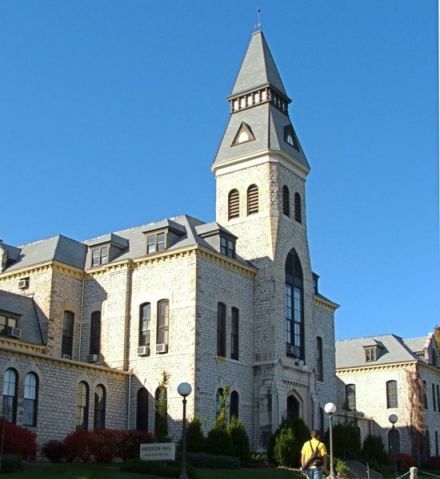 Right on campus, students have access to the Kansas State Insect Zoo and the Beach Museum of Art that has a collection of regional art and different traveling exhibits throughout the year. The McCain Performance Series hosts events like comedians, musicians, dance groups, and Broadway musicals. Wildcats don’t just show their school spirit for football on Saturday’s, all sports are popular on campus especially basketball and the Bramlage Coliseum is in walking distance from K-State. Heading west of State Streets bring you to West Manhattan or the “Westside.” On the Westside there are several residential neighborhoods like Highland Ridge, Stone Creek, Hawthorne Woods, and Wyndham Heights. These neighborhoods are a short drive away from Fort Riley which is why many of the residents in these areas are soldiers and families of soldiers. Stone Creek and Highland ridge have many ranch-style houses. Hawthorne Woods has lavish homes on top of hills that overlook the Colbert Hills golf course. Houses in Wyndham Heights also commonly sit atop hills and have breathtaking views of the Flint Hills. Wyndham Heights is near the golf course and the Frank Anneberg Park which has soccer fields, nature trails, and ponds for fishing. The Westside is definitely a more family-focused area in Manhattan and not the preferred choice by the average student, but the area may work well for graduate students who want to stay away from the whole college scene.